Are you looking for something different for your next Birthday Party or Event? 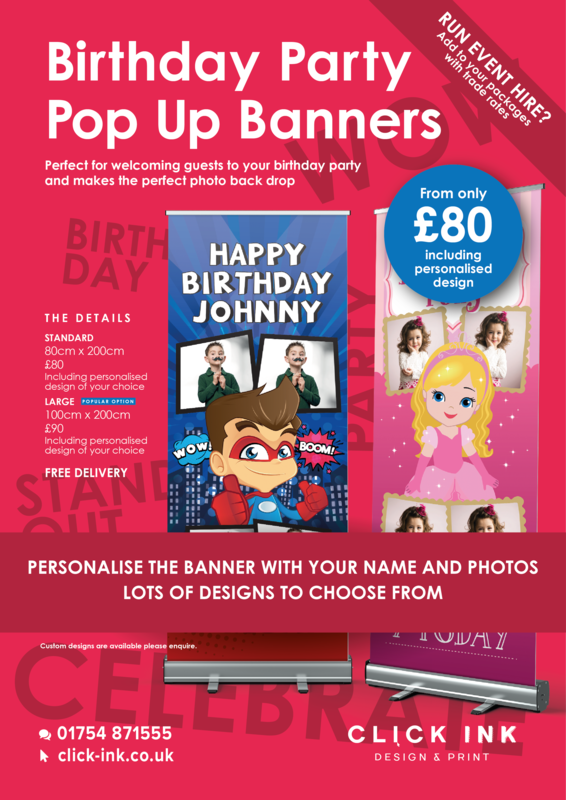 Look no further than our personalised pop up banners and frames! Go the extra mile for your next birthday party or event with out personalised Birthday Banners. Add up to 4 of your own photos to the banner as well as the their name. They make the perfect welcome to the party for your guests. They can even be used as photo back drops, so everyone knows who has been to the best party ever! There are a variety of designs to choose from with more on the way. If you have an idea for a completely custom design just let us know and it could be the next design added to our catalogue. They are easy to install in as little as 30 seconds. Got an idea in mind? Ask us about a custom design!